Army General Raúl Castro, First Secretary of the Communist Party of Cuba, and the President of the Councils of State and Ministers, Miguel Díaz-Canel Bermúdez, have led the decision-making process in the face of this regrettable event. The speed and efficiency of the competent authorities and the discipline and solidarity of the population following the 12:08 p.m. plane crash in Havana on Friday – when a Boeing 737-200 leased by Cubana de Aviación was dropped to the ground at the time of takeoff – were highlighted from the scene by Miguel Díaz-Canel Bermúdez, President of the Council of State and Ministers. 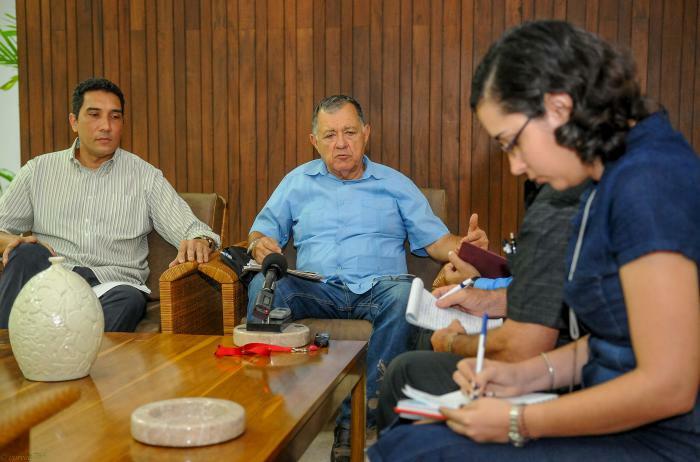 The First Secretary of the Central Committee of the PCC, Army General Raúl Castro Ruz, who is recovering satisfactorily from a recent surgical operation, scheduled in advance to suppress a hernia, is keeping abreast of the situation and has given the relevant indications. He also asked to convey his condolences to the families of the victims of the catastrophic accident. Diaz-Canel offered, on behalf of the Government and the Party, his condolences to the families of the victims. “All the measures planned for this type of event have been taken, the facts are being investigated and all the information will be given. No centres or homes were damaged,” he said. In the afternoon, a government meeting was held, chaired by Díaz-Canel and Salvador Valdés Mesa, first vice-president of the Councils of State and Ministers, during which, together with the ministries and bodies involved, the event was characterised and evaluated. After that meeting, the highest authorities of the Ministry of Transport (Mitrans) informed the press that on the national flight DMJ 0972, which was traveling from Havana to Holguín, 104 passengers and one infant were traveling, of which five were foreign citizens and the rest were Cubans. The six crew members were also foreigners. Eduardo Rodríguez Dávila, first vice-minister of the Mitrans, reported that three people were rescued alive and are being cared for, but their condition is very serious; they have not yet been identified. In addition, he said that the plane fell to the ground in an uninhabited area between the José Martí airport and Santiago de Las Vegas. A commission of inquiry, chaired by the Institute of Civil Aeronautics, has been set up to carry out an exhaustive investigation; with the collaboration of the Ministry of the Interior, the site has been preserved. The process of clarification will be complex, he said, and has been negatively marked by heavy rains. However, all the assurances are available to follow it up. The Ministry of Public Health also created the conditions to care for the families at such a difficult time, with the help of psychologists and other professionals with experience in post-traumatic scenarios, and the Ministry of Tourism will guarantee them accommodation in the capital. The provincial governments have been responsible for informing them of the news and ensuring its transfer to help identify the remains, which is expected to be difficult. At the end of the personalised notification, the flight manifest shall be made public. Adel Yzquierdo Rodríguez, head of Transport, referred to the solidarity of the people of Boyeros, who arrived on the scene moments after the impact. “One survivor complained, and people hurried to remove the obstacles to reach him,” he said. He also praised the professionalism of the Airport Fire Command and the other Rescue and Rescue personnel, who acted quickly and sensitively, and explained that the protocol for situations of this type worked as planned. 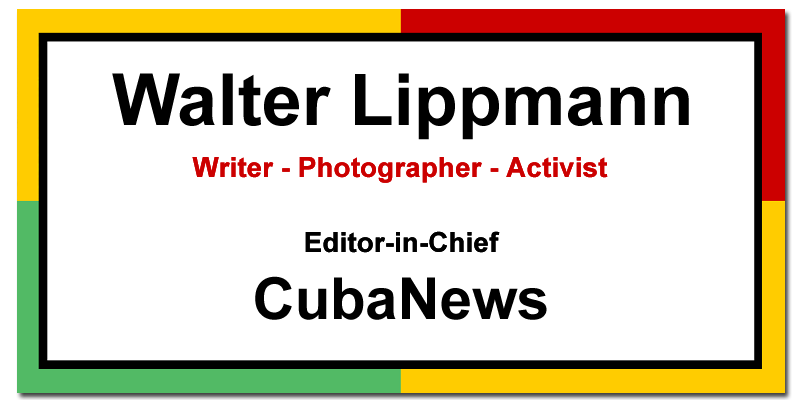 He also stated that the management of the Mitrans was very close to him at a routine meeting, and arrived at the site immediately, as were several ministers and leaders in Havana. “At the time of the accident, the post was activated for emergency situations and the tracks were closed for review. Minutes later, after seeing that there were no problems in them, the authorization was given to resume operations and the airport regained its vitality,” said the Minister of Transport. Systematic information will be provided to the press and the public, and the highest party and government authorities will check the course of the investigations. The Party, the Government, the Mitrans and the Civil Aeronautics accompany the pain of the loved ones of the victims, ratified Yzquierdo and Rodríguez Dávila. This Friday, at least ten homes in Texas did not see their children return from school. 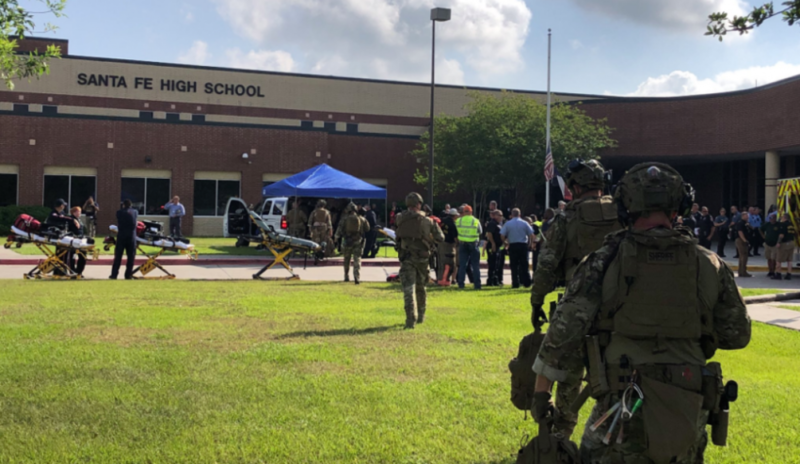 A shootout at Santa Fe High School at 7:40 in the morning resulted in the tragic death of 10 students and one teacher, and an as yet undetermined number of wounded among its 1 400 students. A witness told KTRK-TV in Houston, that a man pulled the fire alarm and when the students left their classrooms they were shot to death. There is one person in county custody and a second “person of interest” was also arrested, Houston County Sheriff Ed Gonzalez confirmed. Authorities also said that explosive devices were later found in and near the school. Fear once again grips American schools and that society when, on average, there has been a weekly gunfight so far this year on a school stage. A student who identified herself as Paige to the Houston television station, in addition to saying, “I was very, very scared,” said she was not surprised by the facts: “It’s been happening everywhere. I always felt it would finally happen here, too. That is a terrible reality, confirmed by the facts. CNN reported that this is the third shooting in Santa Fe in the last eight days and 22 in the past 20 weeks of 2018. On Wednesday, at Dixon High School in Illinois, a former Dixon High School student opened fire near where graduation was taking place; and on May 11, a 14-year-old boy in Palmdale, California, began firing a semiautomatic rifle shortly before school began at Highland High and injured a person. “We mourn the terrible loss of life and send our support to all those affected by this absolutely horrible attack,” said Donald Trump, who was at the annual meeting of the National Rifle Association in Dallas, Texas, on May 4, and gave the NRA the first speech by an American president since 1983 – following the example of Ronald Reagan, a cowboy of arms from Hollywood movies, who also became president. The president, who received a contribution of $31 million from the powerful arms lobby for his election campaign, told them, “You supported me, and I’m going to support you now,” they have a “true friend in the White House,” and added, “I can proudly say to the NRA that I will never again disappoint it,” while describing them as “the true American patriots of the NRA who defend our rights, our freedom, and our great American flag. The empire’s administrator defended the personal carrying of arms, insisted on his proposal to arm “highly trained teachers” to prevent further shootings in schools, and emphasized: “The Second Amendment will never be under siege while I am president. A press report on that NRA meeting stated: “Paradoxically, weapons were banned from the convention site, under orders from the Secret Service, the elite police force charged with protecting the high authorities in the United States. Trump has ignored student-led mass protests across the country to force tighter gun control following the tragic February 14 shooting in Parkland, Florida, in which a 19-year-old boy massacred 17 students and adults at Marjory Stoneman Douglas High School. Now, another boy, identified as Dimitrios Pagourtzis, a 17-year-old student who is said to have been bullied by his classmates, is the assailant, and the media report that screenshots of his social networking accounts show pictures of weapons, photos with Nazi symbols and a t-shirt with the slogan “Born to Kill”, which – according to several students at the local CW39 television station in Houston – he was wearing at the time of the incident. The weapons used were his father’s and perfectly legal…. Nothing will stop this tragic nonsense as long as the interests of the arms industry prevail and the United States is an armed society, licensed to kill in its own backyard, formed by the absurd example that comes to it from a State that organizes, foments and executes wars against other peoples anywhere in the world, because it considers itself the police and executioner-avenger of the planet.